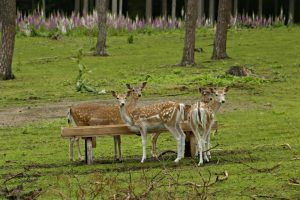 Using a deer feeder is a great pastime for animal lovers and budding photographers. 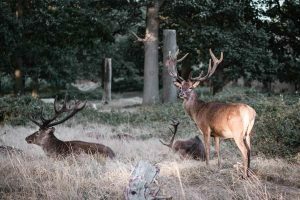 For locals, the idea of feeding the deer is probably much more about maintaining the deer population for hunting. Regardless of why you want to feed deer, it all starts with knowing how to choose the best one. This article will take you to the best deer feeders buying guide and tips to help you decide. A quick glance at the available brands, types and models can show you many different designs. How do you pick the right one for you? As a consumer, you may be tempted to choose merely by seeing which one is the most affordable, but price doesn’t necessarily determine which one will be the best. The cheapest feeder may not work or last long, though an expensive model may be just as ineffective. To be effective, a feeder must be big enough to accommodate the size of the deer you plan on feeding. In addition, it should be able to hold enough feed that you don’t have to refill the container too frequently. This will increase the level of human scent around the feeder, and can make the deer anxious and skittish. This may keep deer away if you keep visiting the area too often. Installation difficulty. Wouldn’t it be nice if they came with professional installation? Sadly, that’s rarely the case. Some of these units have to be assembled first, and this process may not be so easy. You’re lucky if you can find a YouTube video that clearly demonstrates what to do. Others come preassembled, but then you still need to set up the whole thing. The easier this is for you, the better off you’d be. Automated features. In some cases, the more traditional designs are basically just a trough where you put the feed. Gravity deer feeders are simple in that the feed is stored inside the unit and released as used. Others, like an automatic deer feeder are much more advanced, with timers that disperse the feed automatically at specific intervals. These high-tech models are often battery-powered, though some may be powered by a solar panel. Anti-varmint protection. One problem you might run into is that often you end up feeding the local varmint population as well. These raccoons and squirrels can really make you go through your feed supply much more quickly, and sometimes they even take over a deer feeder by scaring off the deer. In some cases, the raccoons and squirrels can be destructive and tip over your deer feeder. Aside from the occasional rough treatment from animals, one must also be able to withstand the elements. 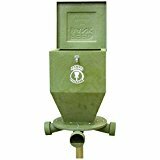 We’ve picked several of the best deer feeder brands and top rated models that may suit your needs. Here’s one fine example of what a classic feeder looks like. 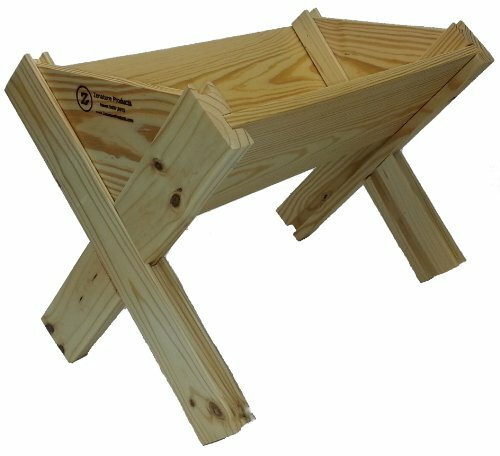 This is a “manger style” trough deer feeder, though with the way it’s built you can feed just about any kind of livestock with this. You just set up the feeder, put the food in the trough and wait for the deer to come. These are pre-made with included instructions. It’s made of white pine wood, and there aren’t any metal parts that can rust or wear down. This is a diy deer feeder and you have to assemble it, though it features pegs and pre-drilled holes. The bottom of the trough is removable, which makes cleaning easier. The way it’s built means that you can use it for a wide variety of ways. Let’s start with the fact that this is one versatile deer trough feeder. It’s not just for feeding all the animals in your barn, such as your goats. You can also use it as a planter for flowers and herbs in your garden. With the way this thing looks, you can put it in your living room as a storage container or display container. You can use it for various knickknacks or for magazines that your visitors can browse through. This is a durable product, even when you use it outdoors. It’s designed to last for a long while. It’s also made in the US. There’s really nothing complicated about how you use it. It’s basically a food dish for deer. Cleaning it is easy too because of the removable bottom. You can easily find demo videos on how to assemble it. A look at the Zenature website will give you one video to start with. Since it’s very simple, it lacks the high-tech features that you may find in other deer feeder models. So, you don’t get any timer benefits, for example. Assembling this thing can be quite challenging, even with the video you can consult. You’ll have to exert a bit of force to really get the pegs through the holes. In some cases, the holes may be too small or not aligned properly. 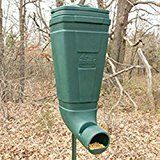 This is the best deer feeder for those who want things simple and easy. It’s also most suitable for those who don’t have any raccoon or squirrel problems, as the food may be too inviting for these varmints. The fact that you can use it for plants or for decorating your home makes it popular too. These automatic moultrie deer feeders are a bit more advanced than the classic deer trough feeder design, and it’s specifically made for people who want no-fuss convenience. This comes with a battery-powered clock timer, and the battery is included. It can also be used with a solar panel to help save battery life, though that’s a separate purchase. 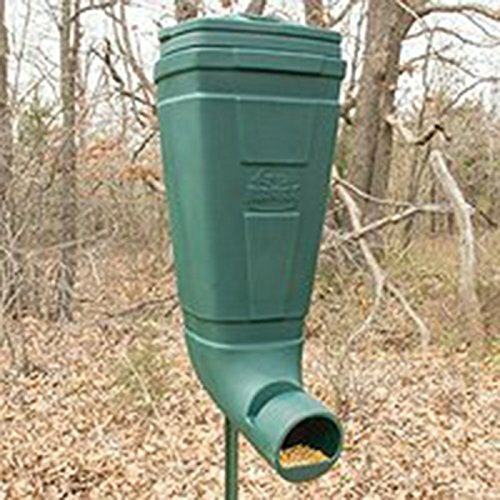 This pvc deer feeder is made with ABS plastic housing, although the spin plate and the funnel are all metal. You just set up any size of bucket over it, and that’s it. This comes with a digital timer and a nice display. You can specify the time and the day when this thing will disperse the feed all around. You can set up to 4 dispersal times, and you can specify how long each dispersal lasts. 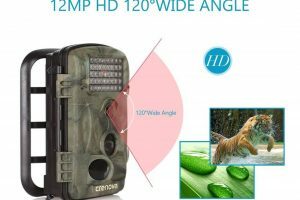 Moultrie has improved the way it handles the deer feeder battery, so now the battery life can last for as long as 4 months before you need to replace it. 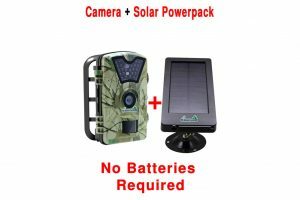 This product already comes with solar panel connectors, so you only need to buy the compatible solar panels if you don’t want to use the batteries. There’s also an external power port, just in case you have a handy electrical socket nearby. This thing is quite compact, and it’s already pre-assembled. You just need to connect it to a bucket of feed and you’re good to go. You can use any size of bucket you want. It’s really very easy to use the timer, so there’s no complicated process that can mess things up. You just need to set the days and the times, and then specify how many seconds each dispersal period lasts. This period can be 1 or 20 seconds. This product is also very reliable and quite durable. Some owners have admitted that their own units have worked for several years now. Because it’s a compact model, the feeder motor is small. This means that it’s not quite powerful enough to sling the feed very far. It’s only able to sling the feed about 6 feet away, and that can be a problem when you have a whole bunch of deer crowding around the feeder. Having too many of them together while feeding may lead to fights and injuries. With all things considered, this is another easy to use automatic deer feeders that won’t give you any real problems. It’s affordable, easy to set up, effective, and durable. Just set it up properly and you will have the deer coming by at your designated feeding times. American Hunter offers several types and models of deer and game feeders, and this particular hanging model is one of the most popular available. This model comes with many of the features you need to ensure it works effectively and reliably, while not making things difficult for you. It works with a timer that you can use to disperse feed from 1 to 16 times a day, with an adjustable amount of feed rate of up to 30 seconds. 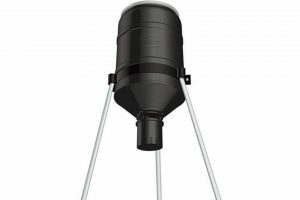 This hanging feeder with bucket can accommodate up to 40 pounds of feed, and it also comes with a waterproof lid. It’s made of durable plastic. 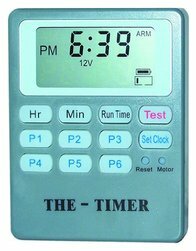 The digital timer is very easy to use and set up. You can even set it up to feed on specific days of the week. The whole design works very well and reliably, with no annoying quirks. It has a simple design that enables you to move its location easily. The bucket size is ample enough if you don’t have too many deer to feed. The plastic is very durable, and it can withstand the elements very well. You can use this as a chicken feeder if you want. (Heck, one owner used it to feed their cat!). The lid does keep the water out effectively. This makes use of your battery very efficiently, and you can get an entire year’s use from the battery at the very least. It doesn’t come with a varmint guard. You also need to buy the 6V spring-top lead acid battery, which is sold separately. This hanging deer feeder model is virtually complete, as you have your timer, spinner dispenser, and bucket. It’s very easy to use, and it’s both reliable and durable. You just need to spend more money for the battery, but when that’s done you shouldn’t have any problems. You just need to take care of the varmints! This model doesn’t sling the feed all over the place. Here, you get a bucket funnel design for your feed, and then gravity does all the work. This gravity style is one of the best deer feeder models that allows you to offer corn and pellets for your deer, and you can set it up high so that varmints can’t jump at it. While raccoons and squirrels can climb up the T-post to get to your feed, this is easily solved with a simple, loose-fitting PVC pipe. Can hold up to 80 pounds of corn, though, of course, you can also use protein feed pellets. Designed to mount on a standard T-post, and there’s a V-groove on its back for just this purpose. You also get the various bolts and brackets to secure it to the T-post. You can also use ratchet straps for adjustable height and to mount it on a tree. This product also features grooves and a concave back for the ratchet straps. It’s made of tough plastic. To adjust the height of the feeder tube, all you need to do is to be careful about how far into the ground you drive your T-post. This product protects the feed from the rain so it doesn’t get moldy. With the huge feed capacity, you don’t have to fill it up too frequently. You have several mounting options to choose from. The feed tube is large enough for deer to feed from. It’s durable enough to last outdoors. It doesn’t have any mechanical parts that can break down. You will have to put in a makeshift 6-inch diameter PVC pipe over the T-post to keep the squirrels and raccoons from climbing up the T-post. It takes a while for the deer to get used to it. However, once you’re past that stage everything’s hunky-dory. It’s great how this thing works smoothly with no problems whatsoever. It’s also fantastic that a simple PVC tube fitted loosely around the T-post can deter raccoons and squirrels. 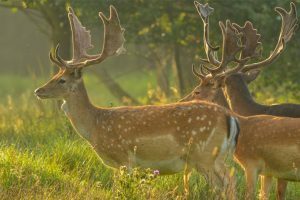 It is true that for some reason the deer seem taken aback by this product’s presence, and it takes time for them to get used to it. But, after this adjustment period, it works great. Here’s another one of the best deer feeder kits that has a timer, and for this to work you can attach it to any size of bucket for your feed. It’s made of premium materials and is designed to be long-lasting. It’s easy to install and use, as well. This model comes with an easy touch digital timer. The timer can be set to dispense feed up to 16 times a day. You can set the duration of each feed dispersal period, each of which can last up to 30 seconds. You can also pick specific days for your feed schedule. When it activates, the deer feeder motor slings the corn and pellets all around for however long you want. 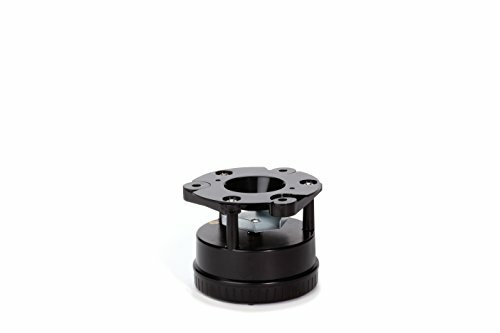 It comes with mounting brackets and with self-tapping screws. This makes installation a breeze. There’s also a solar charger built in so you can easily use a solar panel. This unit is incredibly reliable. Many owners report that their units still work as well as always even after 6 years of use. It’s easy enough to set up and use, even if, for some reason your package doesn’t come with instructions. You can also go online and watch setup videos. This product really doesn’t need any sort of serious maintenance at all. You just need to change the battery when it’s out of juice, though even this isn’t necessary when you have a solar panel. With the built in solar charger, this thing will work indefinitely. 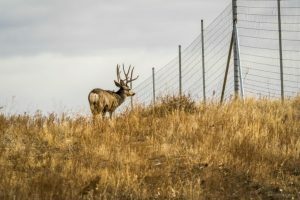 Its design is rather unique, and that means that it’s not compatible with standard varmint cages. You’ll have to build a makeshift varmint guard on your own. This is yet another simple feeding device that works as intended. It offers lots of automated scheduling functions, and it’s very durable and reliable. It will work for a very long time, though you will have to exert some effort to make your own varmint guard for it first. After that, you should be fine. 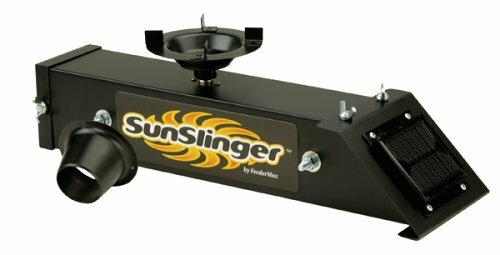 Whether you choose a simple trough style, gravity, automatic or homemade styles, we have put together the pros, cons, reviews and model comparisons to help you choose the best. All of these products can work wonders for you, as they’re all affordable, easy to use and install, reliable, and long-lasting. You can take your pick of the best deer feeder brands and top models to suit your needs. However, if you’re still unsure, then you should try Redneck Outdoors T-post Gravity Feeders. 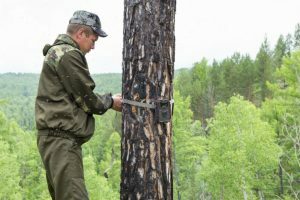 Yes, it does need a T-post and a makeshift PVC pipe for varmints, but at least you don’t have to bother with timers, batteries, and solar panels. The deer can eat when they’re hungry! This model is great if you’re a newbie to this whole idea of feeding deer. You can start by spreading the corn all around the place by hand (in gloves or with a scoop). 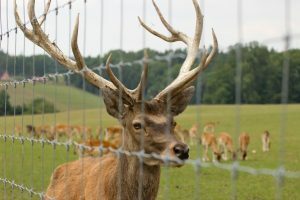 You can shorten the distance to the feeder gradually, and then, once the deer get used to feeding on it, you can stop spreading the corn around. This product lets you adjust the amount of corn and protein pellets, so that eventually the deer can only feed on nutritious pellets rather than just with corn. 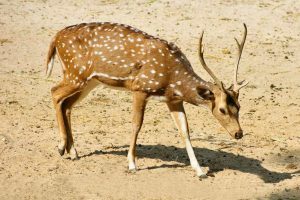 Redneck Outdoors deer feeders will work reliably for years to come, and it’s also able to discourage varmints with minimal effort on your part.